ABOUT KABBISH - The beauty of a craft is in its effect on you, KABBISH derives its inspiration from color black “black is poetic, it’s not Gothic -its classic” and that makes all the difference. Every craft is unique in its own ways and so is BLACK POTTERY, which is authentic, relic and are derived out of the natural elements with no superficial aspect. It is the earliest form of art known to mankind and we feel proud in providing it to the society. Kabbish offers a unique signature style jewelry that is classic, contemporary and inspired by the Terracotta Tradition of India, using traditional forms. 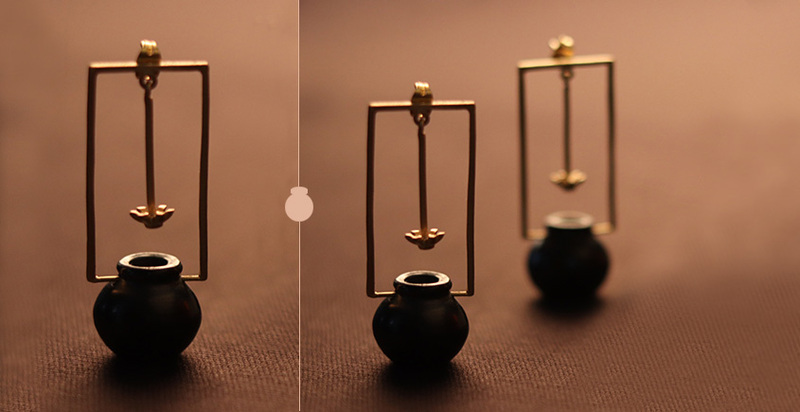 Each Product is a clear and honest effort towards promoting artisan-ship and craftsmanship and Made in India. 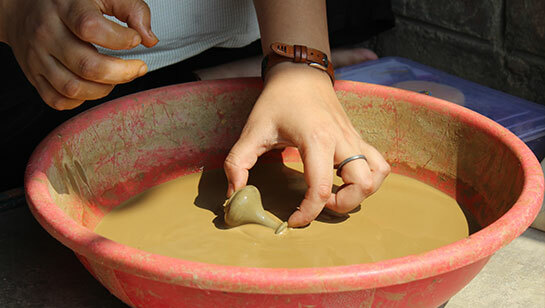 Here, each piece is designed, crafted and carefully hand finished by our artisans. These statement pieces are a perfect mix of tradition and modernity for the contemporary women of today. ‘A POT YOU CAN WEAR’. 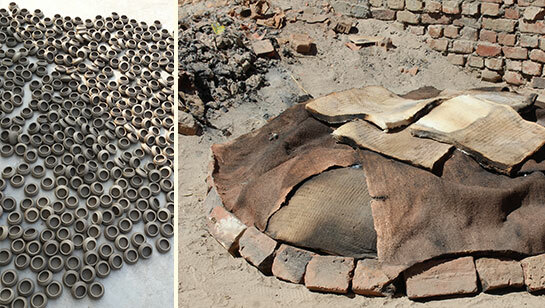 ABOUT CRAFT - Nizamabad is a small town in Azamgarh District situated about 100 km (62 miles) north of Varanasi on the banks of river Tamsa, which feeds several lakes on the outskirts of the town.The pottery of Nizamabad is characterized by its smooth lustrous black finish . The black finish is due to application of clay slip called KABBISH which is make out of bamboo leaves, wheat filled clay, Mango tree bark and creepers, then polishing and reduction firing. 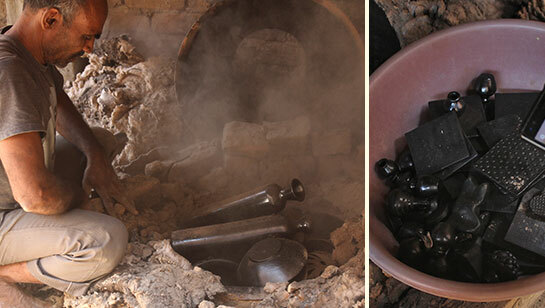 Kabbish is the real secret of Black Pottery of Nizamabad. ABOUT COLLECTION - 'GAGRI' - Kabbish brings back the TERRACOTTA TRADITION through its 'GAGRI COLLECTION'. Gagri means - 'TERRACOTTA POT'. This collection has been launched to go back to the roots of Indian culture which shows the versatility of an earthen pot. We have revived the traditional pottery to match with the attire of today's independent women with a love for bold and contemporary 22kt gold plated jewelry. ABOUT DESIGNER - As refined as clay and nature so moist. A confident, competent and imaginative graduate designer from IICD Jaipur, PARUL AGRAWAL whose motto is to adventure and escalate the craft and culture of India. From roots of her birth place,she managed to find her soul contenting passion. She wants to present pottery in her own way but with authenticity. Not just infatuated but profoundly in love to accessories herself with the craft and cultural aspect of India. She find her brighter way where people usually do not believe to walk. Her down to earth nature helps her to explore the cluster and the nooks and crannies which are unseen and unheard, she strikingly swayed her way towards the Indian heritage to make her own different and new statement in the existing words for the crafts and has an sense of upbringing of crafts and crafts person. She Believes in process and hard work that are plowed into the final product. That’s all the wave of her. 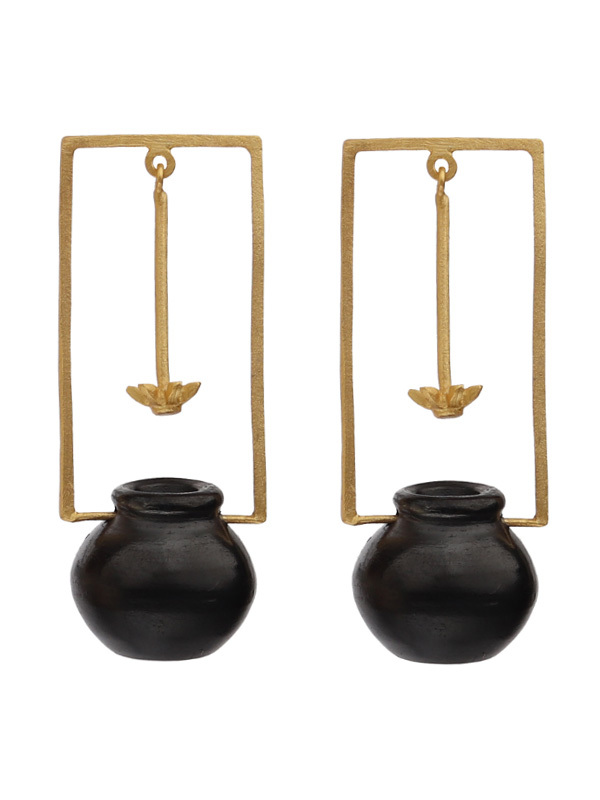 Product details MATHNI EARRING- Inspired from the Pot used a vessel and Mathani used as a stirrer to make butter, this classic 22kt gold plated earring has a tench of modernity in the most traditional forms. 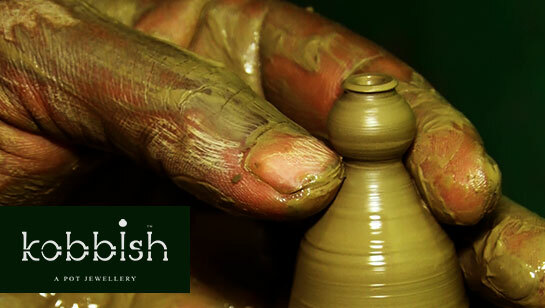 ABOUT KABBISH - The beauty of a craft is in its effect on you, KABBISH derives its inspiration..